Before I begin with my review,I must tell you that I have read few Alex Cross novels by James Patterson. They were good read,completed few books in a go. This is the first time I am reading a book by Ashwin Sanghvi. So maybe I expected a little more here. James Patterson’s style of writing ,my craze of reading thrillers and the gist of the novel made me sign up for the first book review! Private India opens with a murder of a Thai doctor in a Mumbai hotel. She has a yellow scarf around her neck and her hands are tied with strings. There is a flower on one hand, and a fork on the other. There is also a small, Viking toy helmet tied to one of her toes. Eight such killings take place in Mumbai. Every victim has a yellow scarf, with trinkets placed around them. What was common? Victim: Beautiful women with a secret past. Were they molested ? Unlike many novels, No, they were not! All these women, working and high profile and the main link that connects them is Nalin’D Souza. The man who has to get to the bottom of these killings is Santosh Wagh, an ex-policeman, who heads Private India. Wagh was handpicked by Jack Morgan, a former CIA agent who heads Private Inc. Santosh Wagh is a compelling and pitiable character with a troubled past.So troubled, that he prefers to be drunk, to fight his guilt, bad dreams and grief. The case of the serial killing is handed over by the Mumbai Police to Santosh Wahg and his team of detective,the beautiful Nisha Ghande, who earns her well deserved post after a lot of effort , the medical examiner who shares one thing with his boss…..,the pain of losing a loved one and the techie,Hari, who has a past which he is not open about,which costs him later. The team of Private India is unable to find the killer, as the serial killer pounces on each victim swiftly and tactfully. We are introduced to Rupesh from the Mumbai police,who shares an uneasy and strained relationship with his former colleague Santosh Wagh. The mythology and cult mix along with politics,drugs and sights of Mumbai weaved a pacy plot. There is a terrorist angle that keeps interrupting the fast-paced plot. 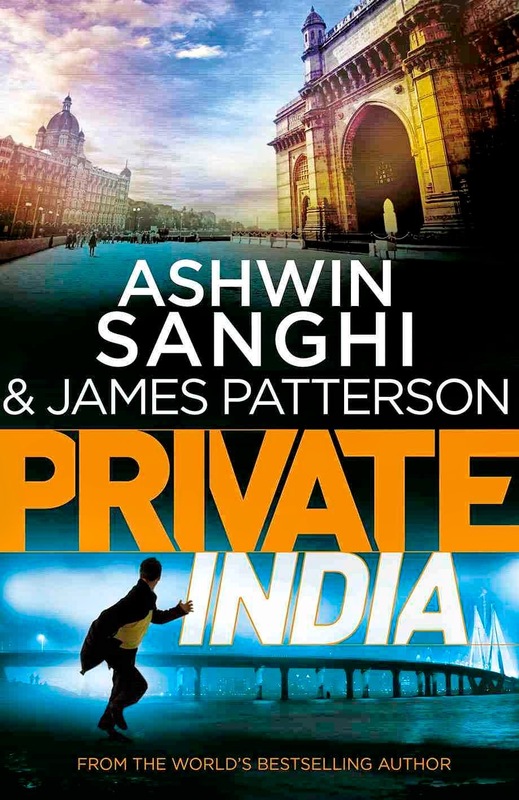 The prose is good, with Patterson’s fast pace and Ashwin Sanghi’s Indian touch of mythology. Well researched and detailed. The details of the city of dreams was beautifully described. Negatives? Sub-plots that was unnecessary and the Bollywood touch made it look like an exaggeration. A slight disappointment to the Patterson readers. Did not make fell like to complete the book in a single go. I was curious at times but guessed the killer right. Few things were just touched and then did not receive an appropriate ending. All in all I think Private India is a good read.